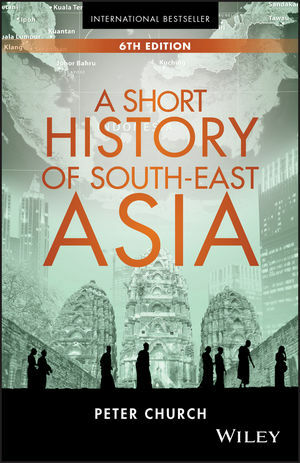 A Short History of South-East Asia, Sixth Edition is the latest in a series of updated texts spotlighting this fascinating region. With revised chapters for all of the countries in this geographic area, this interesting text paints a remarkable overview of the characters and events that have shaped this part of the world. Founded upon a deeply perceptive observation of the late founding Prime Minister of Singapore Lee Kuan Yew, this book brings shape to the idea that 'to understand the present and to anticipate the future, one must know enough of the past, enough to have a sense of the history of a people.' With an approachable writing style and comprehensive content, this unique text was written for business readers interested in improving their understanding of this important region. With globalization continuing to gain momentum, south-east Asia is emerging as an important business sector for many industries. Not only does this open up professional opportunities, it exposes individuals in other parts of the world to the unique histories and cultures of the area. If you are interested in learning more about the region, this abbreviated text is a wonderful resource. A Short History of South-East Asia, Sixth Edition is an abbreviated history of south-east Asia written with business readers in mind. PETER CHURCH, OAM, is a lawyer, corporate adviser, and company director, who has spent more than 35 years living and working in South-East Asia and India. He advises a varied group of companies in relation to their activities in Asia and Australia and sits on a number of for-profit and not-for-profit boards. He is Chairman of AFG Venture Group, Special Counsel to the English law firm Stephenson Harwood, an Adjunct Professor at Curtin Business School in Perth, Western Australia, and a Distinguished Visiting Professor at the Great Lakes Institute of Management in Chennai, India. He was awarded the Medal of the Order of Australia (OAM) in 1994 for his services to the promotion of business relations between Australia and the South-East Asian region.